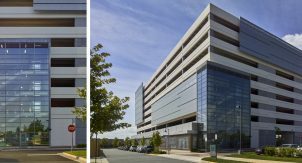 The redevelopment of Downtown Silver Spring, Maryland, created the need for two new parking structures. 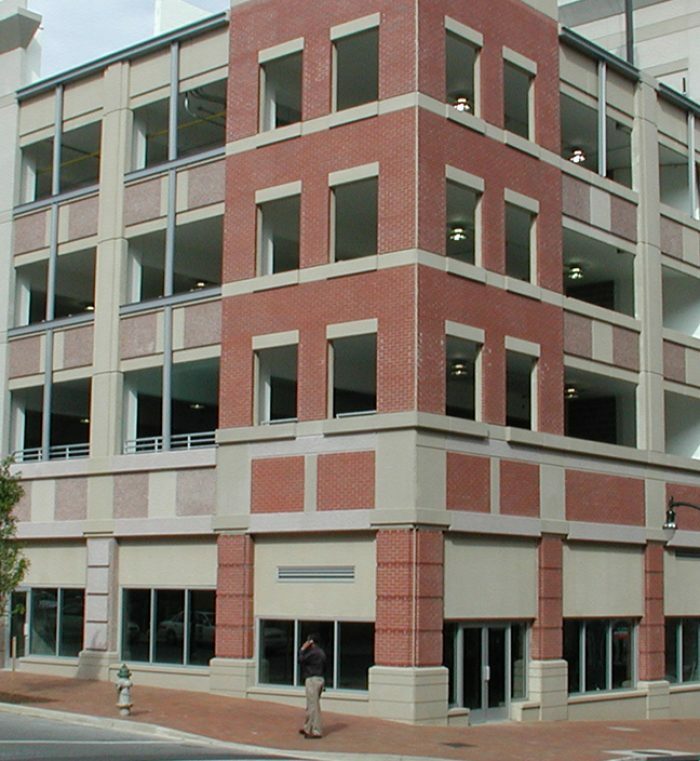 The Town Square Parking Garage is a 1,270 space structure designed to serve retail, entertainment, and cinema patrons visiting the redeveloped Downtown Silver Spring. 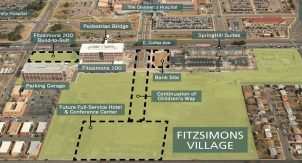 This garage has six retail spaces and a 4,000 square foot parking office. 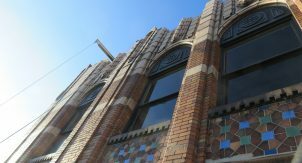 It has a very attractive exterior façade incorporating precast concrete and brick in a building-like appearance to blend with the adjacent residences and buildings. It also has flat floors and provides an open, well-lit environment that maximizes the feeling of openness and comfort. The ceilings are painted white to increase luminance levels and the glass-backed stair/elevator towers provide passive security to the users. 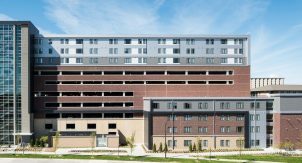 The cast-in-place, post-tensioned concrete frame facility contains a number of the latest technological advances in parking structure design including epoxy-coated reinforced steel, a fully encapsulated post-tensioning system, and chloride inhibiting add-mixtures. 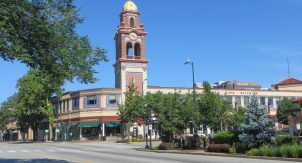 In addition, design measures such as positive drainage, low slump and low water-cement ratio concrete will help contribute to long-term durability while reducing life-cycle maintenance costs. 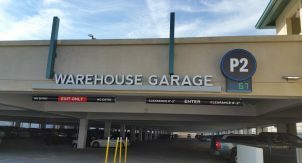 This garage includes state-of-the-art pay-on-foot revenue control parking equipment that will allow the cinemas and the retail tenants to validate parking tickets for reduced parking costs to the consumer. This is a more efficient method of exiting the structure because there is no waiting in line to pay at the exit. 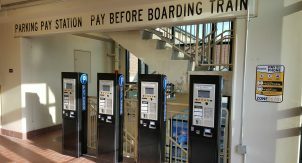 This system will also accommodate credit cards, debit cards, and frequent parking options to allow the most flexibility in payment options. 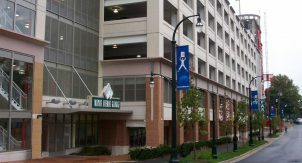 Space availability signs are located at every level to assist in directing drivers to open parking spaces.